The project supports local children and their families by delivering children's programmes to primary schools and nurseries, and allowing children to play and learn about animals and insects in the project's wildlife gardens in Harleeshill. Representatives from Asset Alliance, one of the supporters of the STV’s Children’s Appeal, visited the project to meet some of the staff and children who will benefit from the funding. 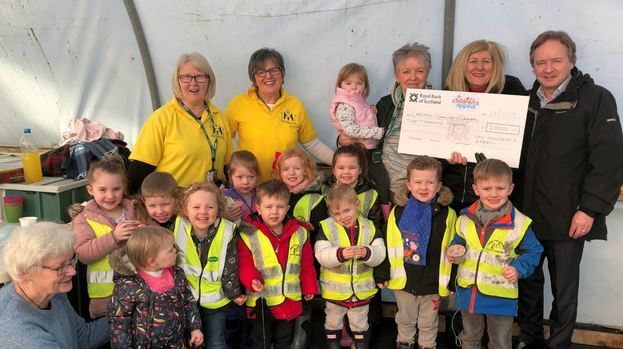 Douglas McArthur, CFO of Asset Alliance, said: “We have very much enjoyed supporting the work of the STV Children’s Appeal over recent years and it was a pleasure to visit Larkhall Community Growers to find out more about how our fundraising makes a difference.